Our main objectives are to look after you pet's teeth while not submitting them to the affects of anesthesia, as well as educate pet owners on excellent oral health and care. We invite you to contact us with any questions you may have, to learn more about what we can do for you, or call us to make your next appointment. Sylvia's love of dogs began when she was a young child, first in showing dogs and, soon after, as a professional handler. These roles included brushing, grooming, nail clipping, and the cleaning of their teeth. As a result of Sylvia’s passion and natural abilities with dogs, she quickly realized the direction her career would take. She soon established a very successful grooming salon and a post-secondary trade school to train pet groomers from all over the world. 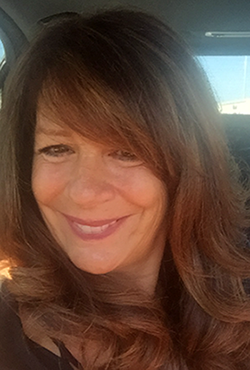 During her fifteen years operating her salon and school, Sylvia had heard many tragic stories of client pet deaths due to the use of anesthesia during teeth cleaning procedures. Aimed at finding a solution to this issue, Sylvia educated herself on animal oral hygiene. In 1995 Sylvia developed and started using a unique method for cleaning pets’ teeth without anesthesia. The service was soon in very high demand and so Sylvia founded K-9 Brite Bark to focus on the provision of oral hygiene for pets. 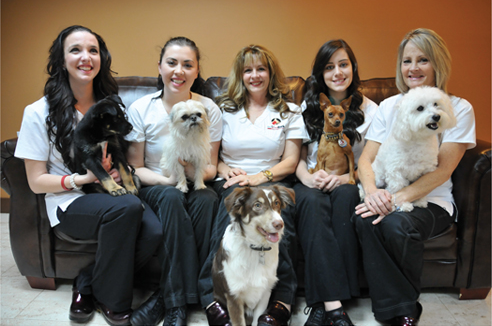 Today Sylvia is a leader in the non-Veterinarian practice of oral hygiene for dogs and cats. She continues to learn through seminars, research and other professional resources and shares her knowledge of safe, sedation-free teeth cleaning with the public. Sylvia’s oral hygiene practice is recommended by many leading veterinarians, and by a client base of over 50,000 owners of healthy, happy pets.